The St. Kitts and Nevis Amateur Athletic Association was established in 1977 after separating from the St. Kitts Amateur Athletic and Cycling Association that year. It was headed by Dennis (Freddie) Knight who was joined by Seymour Davis, Gene Knight and a number of other enthusiastic individuals to promote the sport of athletics in the Federation of St. Kitts and Nevis. and both associations held joint sporting competitions in Warner Park up to 1980. 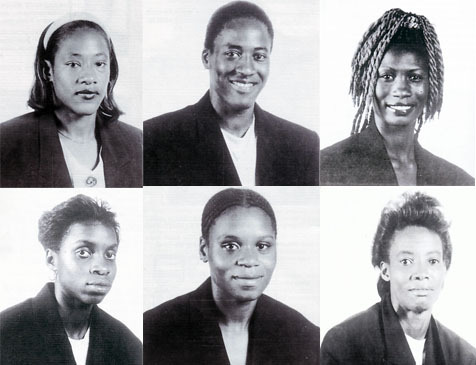 The Association was formerly constituted in 1978 when the General Assembly agreed to work with the Cycling Association to form the St. Kitts Commonwealth Games Association. This was done in an effort for a team of athletes, cyclists and officials to travel to Edmonton, Canada to participate in the 10th Commonwealth Games. 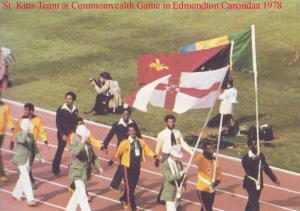 The Commonwealth Games was the first international competition in which we participated and two athletes namely Glynn Osborne and Ezzard Wilson represented the Federation at this prestigious event. Joined the IOC in 1993. Competed in the Olympics for the first time in Atlanta, where it sent 10 athletes and did not win a medal. Did not win a medal in Sydney or Athens, but sprinter Kim Collins reached the 100m final at both Games, placing seventh in 2000 and sixth in 2004. (200m; 4x100m) and Eric Haynes (4x100m). (4x400m); Elrecia Francis (4x100m; 4x400(Sub); Bernice Morton (4x100m; 4x400m(Sub). At the Sydney Games in 2000, Collins became the first ever Olympic finalist from his country and after winning gold at the 2003 World Championship in Paris, he reached the Olympic final again in Athens in 2004 and placed sixth. Kim has appeared in every Olympic finals since 2000 and has made it to at least the Quarter –finals at every Olympic games he has ever participated. Kim has also medalled in every World Champiosnhip since 2001 and is regarded as one of the most successful sprinters in history from the Caribbean. Additional information: When and where did you begin this sport? 2001 WORLD CHAMPIONSHIPS Collins ran from lane one and at the tape a line of six men dipped together behind the clear winner Konstadinos Kederis from Greece. After some agonising moments as multiple replays from multiple angles on the stadium video scoreboard didn't help the fans or athletes much, Jamaican Chris Williams was declared the silver medallist with Shawn Crawford from the USA third. Collins was credited with fourth, and all three athletes were given 20.20s. But about five minutes later the results were amended to give Collins a share of the bronze medal. St. Kitts have an Athletics track which was offically open on 03/21/2008, with the main stand in the Stadium carrying Kim Collin's name. The following results are included in the Competition Highlights field. There can be small discrepancies due to the lack of sources for certain results. Note that the results are sorted on rank within a competition. Today, there have been 26 visitors (57 hits) on this page!